The Purple Scarf: Happening Weekend: Beer, Art & Music! Happening Weekend: Beer, Art & Music! This weekend marks the end of several amazing events happening in Toronto, but don't worry, you still have until Sunday to enjoy them. 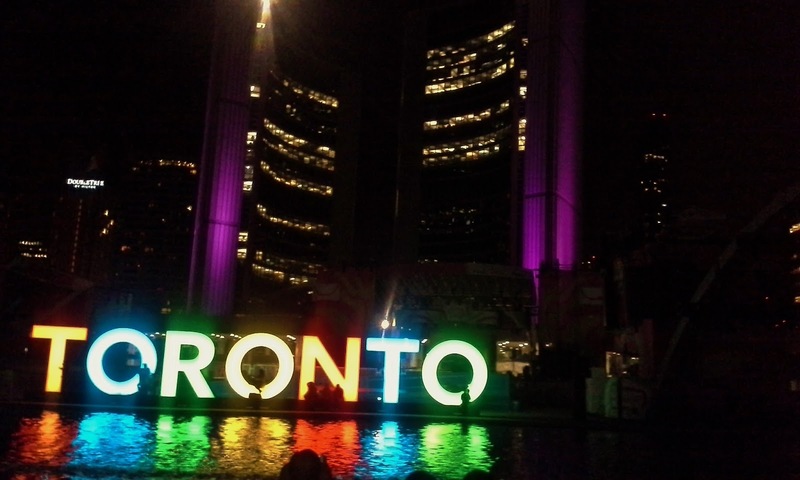 Pan Am games ends this Sunday with the closing ceremonies on Sunday so expect the sky to light up once again. Even though the Pan Am games are ending Panamania is still going strong. Check out some free concerts and fabulous art downtown. The Ontario Celebration Zone is still happening down at the waterfront. Enjoy a free rock climbing wall and zip line. It's the last Sunday of the month which means it's time to get out and enjoy a car-free Kensington Market filled with buskers, food, and an Art Fair. And after you Celebrate Ontario head over to the Harbourfront Centre to take part in the Flaunt Festival. Running all weekend long, watch the free extravaganza of live artistic performances and shows. FIGMENT takes over Toronto's Olympic Island both Saturday and Sunday. This free participatory arts event will have something for everyone and did I mention it's free?! The UNITY Festival began on Tuesday with a variety of events across the city. Celebrating Hip-Hop and its diversity, the festival ends on Saturday with a free UNITY concert at Yonge Dundas Square. The Beaches International Jazz Festival ends on Sunday. Head on over to Woodbine and chill out in the sun to some free music. Toronto's Festival of Beer happens at Exhibition Place all weekend long. Serving up more than 300 beer brands and an exciting roster of concerts, this is the place to be for one of summer's biggest party. The Bellwoods Flea is taking place on Saturday. A mix of vintage, artisan, and garage sale, you can always find something unique at the Bellwoods Flea. P.s! : Don't have tickets to Toronto's Festival of Beer but want to join the party? There are always people trying to sell tickets that they pre-bought outside the gates. Happening Weekend: Food & Music! Explore Toronto: Coupland and The City! My Style: Summer Eclectic Love! Happening Weekend: Art, Culture & Beer! Exhibit: Pride Aplenty at Gladstone Hotel! Event: Me With You Toronto Fringe Show Giveaway! P.s! : Some Sun & Fun! Happening Weekend: Salsa, Food & Fringe!